My trip to Anchorage for the opening of my show at APU was so fun! No snow or ice on the roads, some sun and mild temperatures and after the 3.5 hours of unpacking and hanging the show on Wednesday night it was a lot of fun! I stayed with my in laws and got to see Norio Matsumoto on his return to civilization from 40 days on an icefield. Also several visits with my niece’s family and visits with Juneau friends who got stuck in Anchorage somehow. (So you have a great job, cheap natural gas and Nordstroms – there is so much more to life than being able to drive anywhere!) 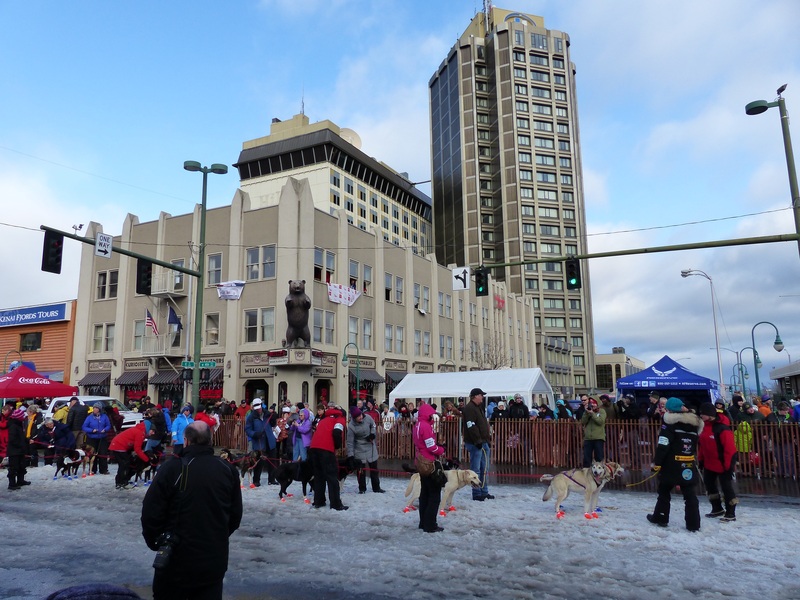 OK, and there was the Iditarod start on Saturday. And the post show celebratory dinner and drinks at Fletcher’s in the Captain Cook. And Title Wave bookstore. And the best fun at dinner with Dan and Susan. But other than that! 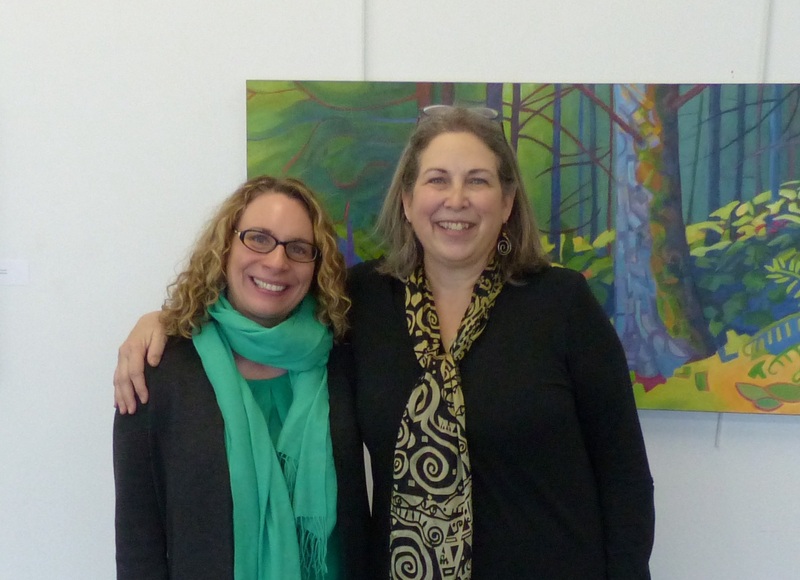 Oh, and the best part – artist wise, was meeting with representatives of Artique Ltd. 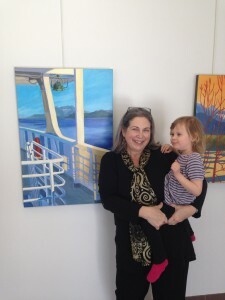 This terrific gallery will represent me and Constance in Anchorage. This is a great gallery with the best artists in Alaska. They have experience and have been representing artists for over 40 years. I am so honored to be entering into a partnership with Artique in showing my work in Anchorage. 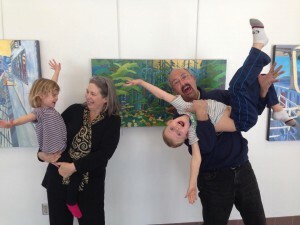 Some of my favorite art patrons! 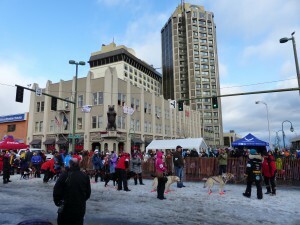 Part of the Iditarod ceremonial start! With Andrea Noble-Pelant of the Alaska State Arts Council, a fabulous resource and friend. Visual artist in Juneau, Alaska. Landscapes and Figures in acrylics, pastels and oil. XTRATUF® Landscapes – almost there!